South India here we come!! A much awaited Bike Ride finally came into action. (After convincing our bosses for leave and of course our family). 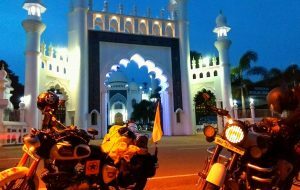 We planned to leave for the ride on 11th of August 2017; Friday night after the office hour. 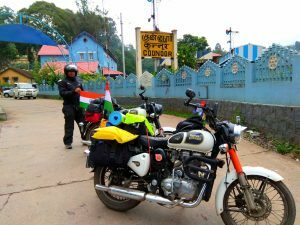 Geared our bike with all necessary equipments, tents and we kick started our ride towards the South India from Pune, Chandni Chowk. 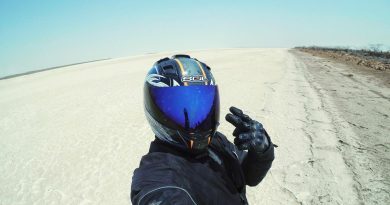 Riding in the night was a totally different experience, cool soothing breeze chopping from our half faced helmet. Around 2.00 am we decided to halt at Nippani, where we stayed in some lodge and rest for the night. 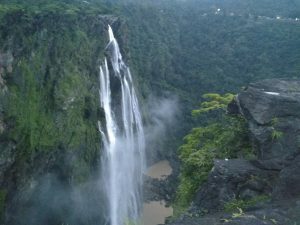 We proceed in the morning towards our first destination – Jog falls. Around 4.00 pm we reached our destination. The view of gigantic fall was so mesmerizing. Had some photography and small downward trek. 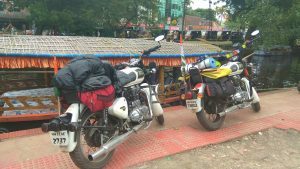 After having rest and some ‘pet pooja’, we decided to ride towards Sagar which was around 25 km for Jog falls. We rested to the day in nearby lodge. 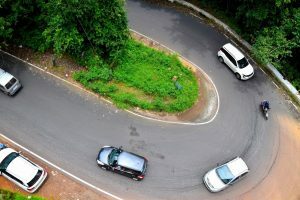 Cruising through Beautiful Agumbe ghat – Also known as Cherrapunji of South India was speechless. 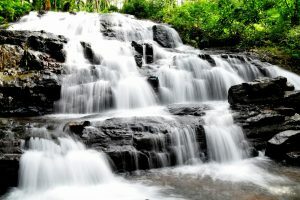 Agumbe is known for its thick deep dense rain forest. View of Stunning sunset from cliff of the ghat was a memorable experience. We had some snacks/tea and marched further with the journey. We decided to take the village route for further journey. And believe me the decision came out be best one. 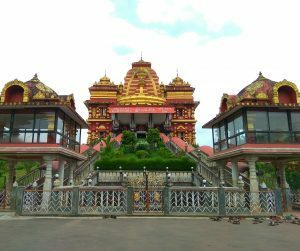 With beautiful roads of Karnataka, covered with green bushes both sides of the road, we reached to Dharmasthala – A Religious town of South India. 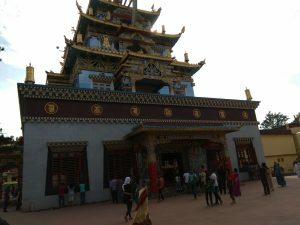 We witnessed many other beautiful temples on the way. 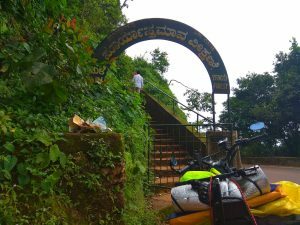 Around 6.00 pm, we left Dharmastala and moved further and rested for the day at Kodamma, a small town. 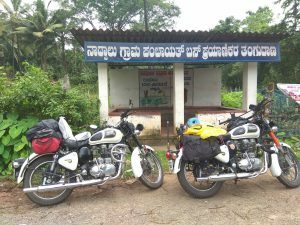 Kokadda- Bylakuppe – Madikeri -Mysore: 350kms. 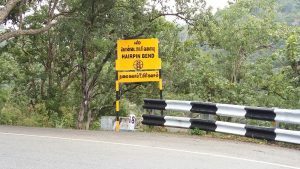 One of the Best roads I have rode through heavenly lush green, breathtaking road from Kokadda to Madekeri and coorg with number of Gigantic Waterfalls all along the way. 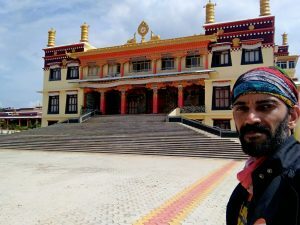 We reached Bylakuppe – a Tibetan settlement village @1.0 pm. 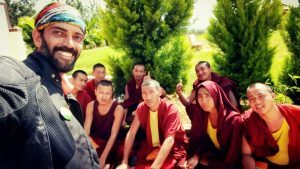 We spent the day visiting the entire village, couple of monasteries and sat with little monks for around 3 hours discussing lots of interesting things about life and self-control. 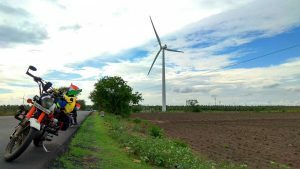 It was so interesting, that we were resisting moving our self for further ride. 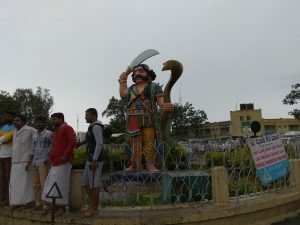 But time didn’t permit us and we headed towards Mysore, which we reached @7.30 pm. 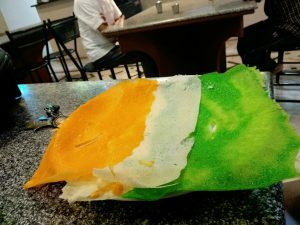 Our buddy, Deepak, invited us in his hotel where we had this specially made Tricolor dosa (Independence Day special). Inspite of their busy schedule our Ladakh buddy Deepak and Vinay spared the time to meet us and invited for the delicious dinner. 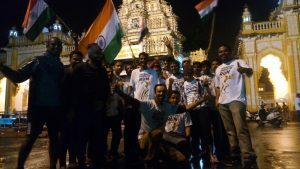 We were invited for Independence Day celebration at Mysore Palace, Midnight Freedom Run and Flag Hoisting was the highlight of the Event and despite of the heavy rains; the crowd showed up in large numbers. 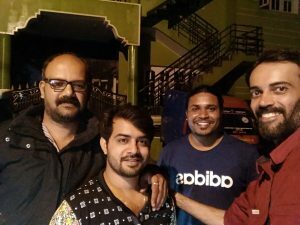 Next very morning Deepak rode took us around the Mysore city and key attraction places viz – Chamundeswari temple, Nandi and few local famous joints. 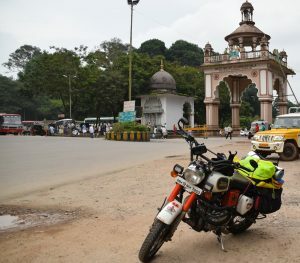 We finally departed at 11.00 am from Mysore towards Bandipur- Ooty. 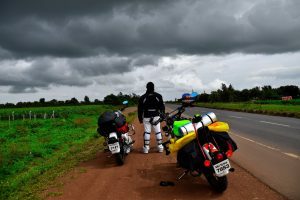 We had been lucky enough throughout the journey as the weather was awesome and no heavy rain during thru the route. 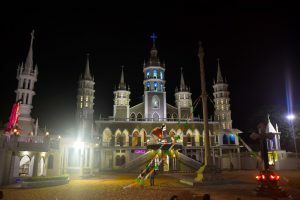 Witnessing more exiting and interesting places in South India as and on we are proceeding. 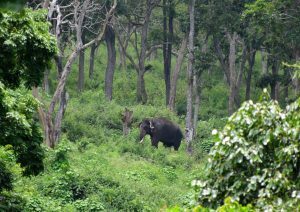 Riding through the Wild forest of Bandipur (40 km stretch) was an ultimate experience and was one of my dream. (Riding through the Forest is not allowed after 6 pm) We were Lucky enough to capture several pictures of wildlife such as elephants, dozens of Deer, peacock on the way in my cam. 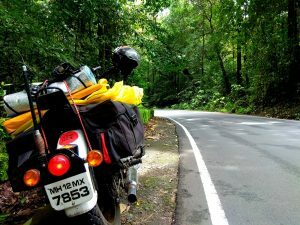 Ride from Masinagudi to Ooty (Queen of Hills) was too awesome. Pine and Eucalyptus trees throughout the way with soothing smell of Nilgiris. 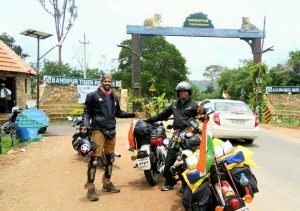 The last 30Kms on Kalahatty Ghat with 36 hairpins was really adventurous and thanks to our Beast, it was a cake walk. These turns are named because of their steepness. As we moved upwards in the Ghat section, the air became thinner and cooler. 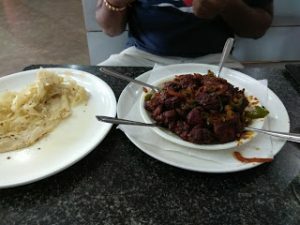 Had Maha Lunch at Ooty at Mama’s Kitchen. Suddenly it started to pour heavily. We decided to halt for half hour and even if it continued we will proceed for the ride. Where there is a Wish, there is a away… and the pouring slowed down. 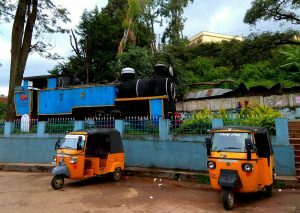 We headed towards Coonoor, the 2nd highest hill station after ooty in South India. We visited the UNESCO heritage metre gauge railway station. 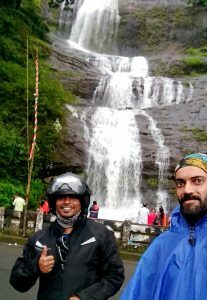 The ride from Ooty to coonor amidst the Nilgiries was breathtaking. 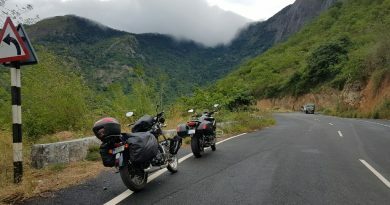 After having Chai-Sutta at Coonor and a quick nap along the road side tapri, we rode towards Coimbatore, where we ended our day. 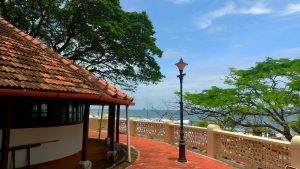 Due to off season was easy to find some cheap stay at INR700/ room. 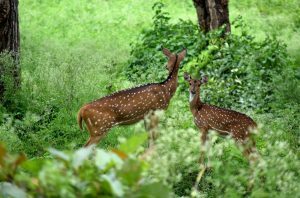 Our First Entry to Kerala through Wild Forest – Chinnar Wildlife reserves. 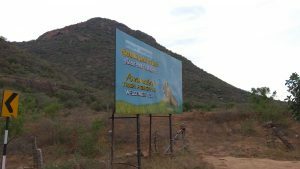 Not much to be explored, but the route to Malampuza dam was not less than Heaven. Had couple of Photo-shoot on the way. The scenic view of Malampuza dam on one side and Malampuza garden on the other side was too good. 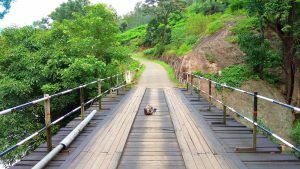 We had a round trip around the Dam, riding through small hills. 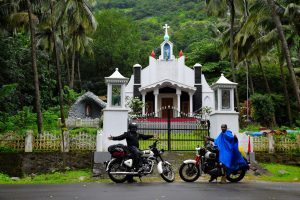 Several Beautiful churches on the way and Huge Dam water reserves witnessed when we decided to take some unknown route towards Palakkad from Malampuza. 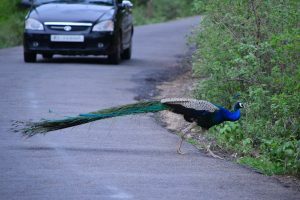 We headed toward Palakkad and the road and route were amazing. 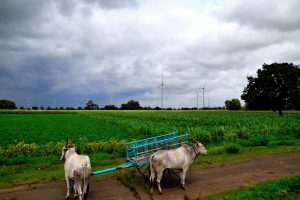 1000s of Windmills and numerous wild reserves throughout the route. 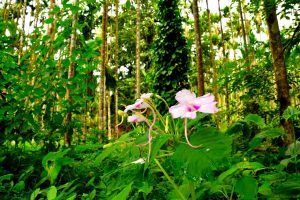 The real essence of Gods own country starts from Maraiyur. 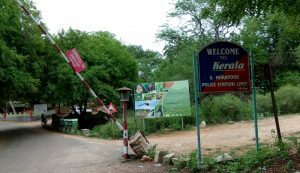 Reached late evening at Maraiyur, searched for stay started, hardly to find any. Decided to move towards Munnar in case we don’t find any home-stay and finally after 5 KM from Maraiyur, we were able to settle for one home- stay INR 700/day. Next morning we started from Maraiyur towards Munnar via Kannan Devan Hill amidst the gorgeous beauty of Munnar Tea valley. 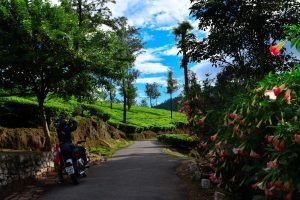 Both side of the route with extensive Tea plantation. We decided to go inside one of the tea estate. The roads were narrow but still motarable. Riding in the Tea valley was amazing. 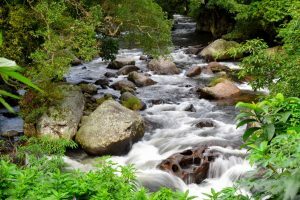 Small little wooden bridges over the water stream, numerous waterfall and aroma of Tea throughout the valley. We were offered Tea and bidi, by one of the Worker in Tea plantation in his house. 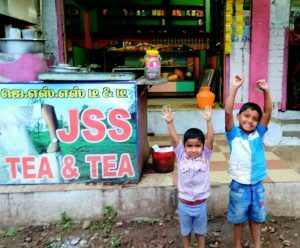 The unique way of preparing tea here in South India was an eye-catching. A minor breakdown on the way to main Munnar city, got it repaired by local motor garage. Could have been charged hefty amount, but he charged only INR 250. Lovely place and lovely People. Visited tea processing plant and Tea Museum wherein small documentary movie was played. 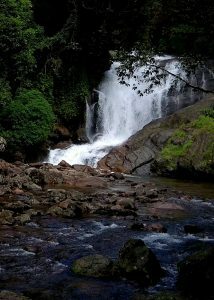 On the way from Munnar towards Kochi, numerous gigantic waterfall and couple of Wild reserves. 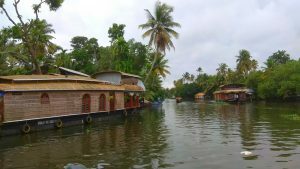 Stayed for the night nearby city to Kochi – Aluva. 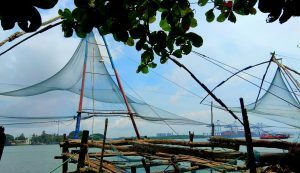 In the morning we rode for Kochi aka Cochin aka Ernakullam, the favorite city among backpackers. 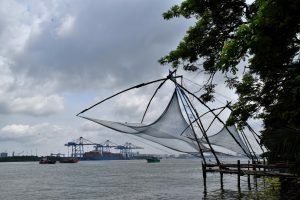 Ancient Port for trading, Old Portuguese settlement, Unique Chinese Fishing Net, A ferry ride from Vypin to Ernakulam with Bike. 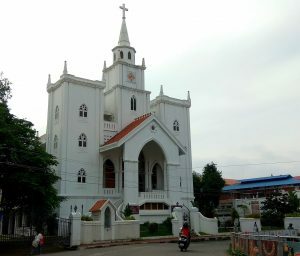 Had a city tour with our bikes visited many old churches including the St. Francis Church (where Vasco da Gama body was buried), old Jewish settlement town, had “Iddiapam” in lunch at one of the joint in Ernakulam. 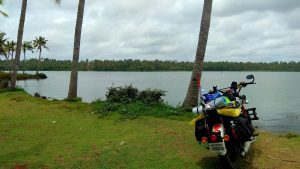 We then started riding towards Alappuzha, via coastal Route. Road was decent but the route was awesome. Hardly any vehicles on the road which runs along the coastal. 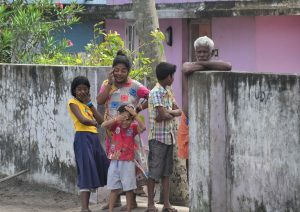 Lovely to see on one side of the road old style houses “Nallukettu” and on other hand Piercing Waves along the Coast. 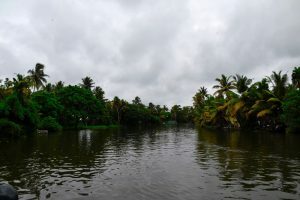 Reached Alappuzha around 3.00 am and w/o wasting our time we opt for Backwater ferry Ride. 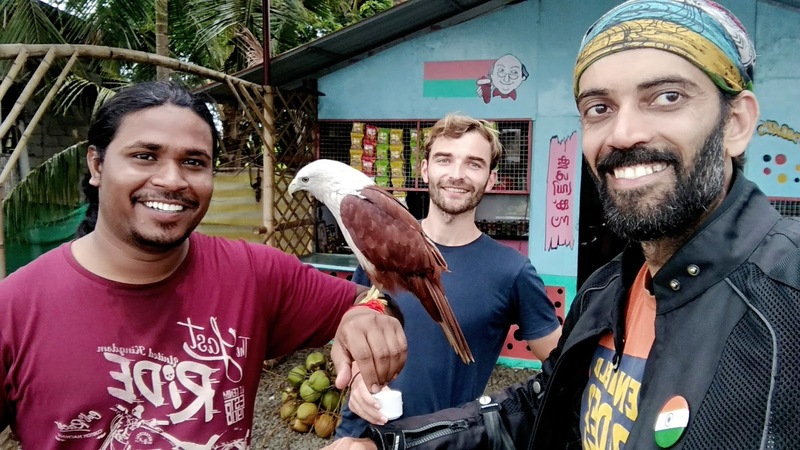 Met an amazing Backpacker fellow who was in India for study tour on Social Economic Reforms. Finally experience the feel of Backwater and the ferry ride, which I used to just watch on TV or hear from honeymoon returned Couples. We found some Army personnel homestay for the days rest. Visited the Alappuzha Beach in the Evening to spend the leisure Time. 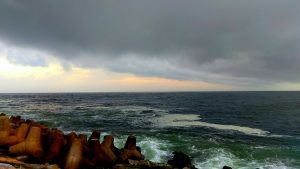 We headed towards further South via coastal route. 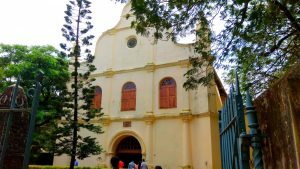 Witnessed many Old churches and Forts near sea shores. Many good spots for photography on the Way. 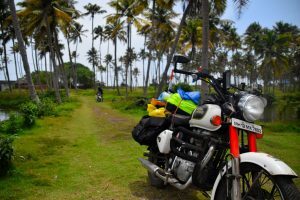 Next day we cruised for our final Stretch towards Kanyakumari and again skipping the highways, we rode entirely through the Coastal Part. 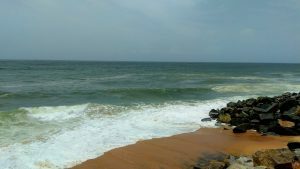 Enchanting Varkala Beach, Kollam Beach was so mesmerizing. Met with many of the local People. 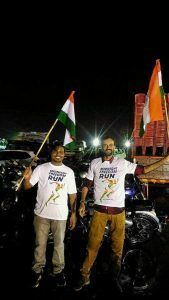 Local were too happy to know that we came all the way from Pune to South India. Small Kids used to wave their hand on hearing the roaring sound of our Beast. 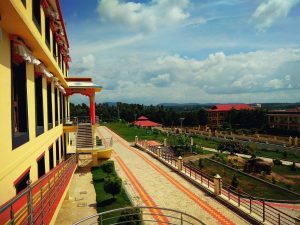 We couldn’t find any rest room as it was entirely full so to some local function in town – Nearby Kollam. 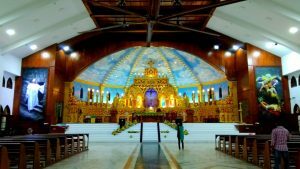 We spoke to Admin of one of the church and he offered us one room in the Church, and it was an awesome experience. There was some fear inside us as we were relating with some old horror movies. Adding to the stay we were invited to have dinner in their Community Function inside the Church on Sunday. They were greeting us as Riders and were much happy to invite us of the dinner. Amazing State and Lovely people, indeed it’s a GODS OWN COUNTRY. 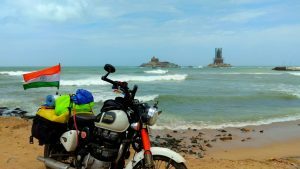 Final Stretch of the Ride stated towards final Destination of our South India Ride – Kanyakumari. 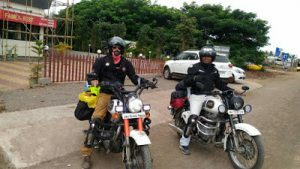 We met a couple of Riders on the way and more than us they were happy to see us riding all the way from Pune. 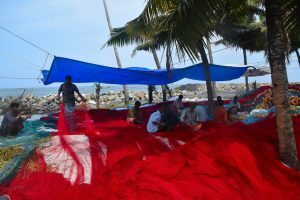 We landed into the city bordered by colorful seashores, fringed with coconut trees and paddy. 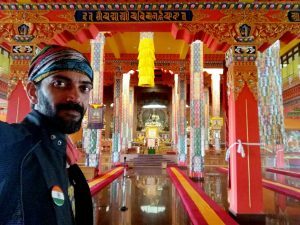 Standing along with our Bikes at the Southernmost Tip of India, watching the Vivekananda stupa with the waiving Indian flag that was mounted on our bikes. 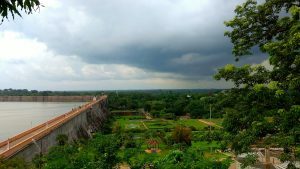 South India you are beautiful. 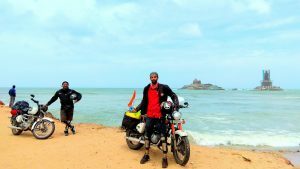 Throughout the Ride we never felt restless, rather than our stamina; as it was the route, South India and the people which kept us motivating and inspiring throughout the journey. 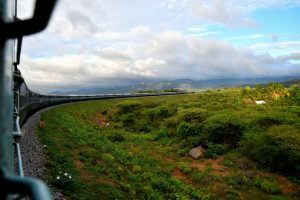 Our return journey was via Train and transported our Bikes through cargo. 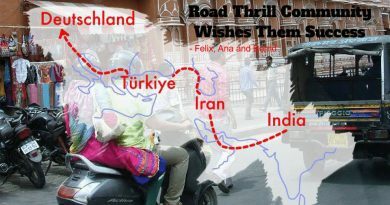 Will keep you all updated with our next Bike Journey to North East India. 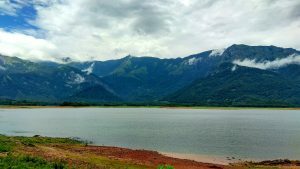 A Beautiful Travel Story and Guest Blog by Dhirendra Singh Rajpurohit Bhai. 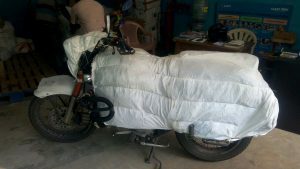 Keep thumping will join some day on Ride chalte chalte. Thanks for sharing such a lovely ride. Memories.